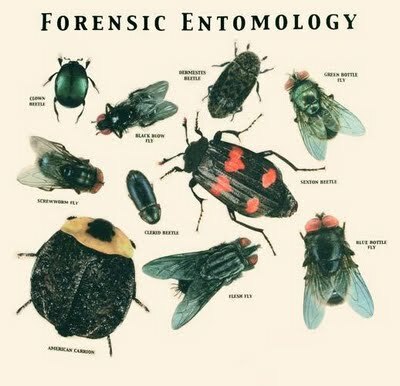 forensic science – All Things AAFS! Due to the increasing popularity of our blog posts on Facebook, I have created a new page where all our blog posts will be automatically published – which will mean easier sharing for you! Give us a ‘Like’ if you want to follow our blog posts more casually without having to link your email up for updates. Click here to be taken directly to our new Facebook page! We also have a twitter page, where you can follow us for updates! Click the above image to be taken to our Twitter page! 27/07/2013 by All Things AAFS! 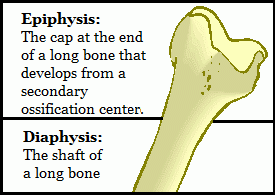 There is a relatively easy way to see whether a fracture to a skeleton is ante, peri or even post mortem. It is essential to detail and deduce which category a fracture falls into, as this is very important to see whether the fracture had played a part in the person’s death. If a fracture is ante-mortem, it means that the fracture was made before death of the persons. With peri-mortem fractures, it means that the fracture was received at or near the time of death of the persons – so could have been the fatal strike. Post-mortem fractures are fractures that have been received after death, so during the time from death to the time of recovery. These fractures are usually from excavation processes, dismemberment, or even natural processes (soil, animal and plant activity). You will be able to determine if a bone fracture was ante-mortem due to there being signs of healing which is shown by cell regrowth and repair. 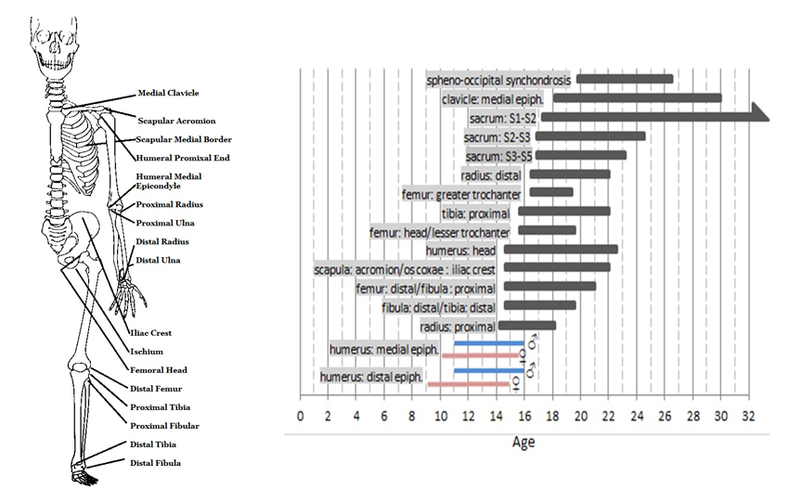 With peri-mortem fractures, the person died before the healing started to take place, but the fractures will still contain the biomechanics that are present in ante-mortem fractures. Post-mortem breaks tend to shatter compared to peri-mortem breaks which splinter, this is because bones which are in the post-mortem stage tend to be dry and rather brittle. Another big indicator of a fracture being post-mortem is the difference in colour. The ‘Quick Tip’ that my applied anthropology lecturer taught me on how to easily distinguish between peri-mortem and post-mortem is to look at the fracture and decide; is it a clean break, as if you were breaking in half a bar of chocolate? If it is, then the fracture is most likely to be a peri-mortem fracture. If the break looks crumbly, like breaking a biscuit in half, it’s post-mortem fracture. Obviously this tip is not the most scientific, but it’s an easy way to begin your distinguishing process. Skull with signs of post-mortem fractures. This photo is from a practical lab session. 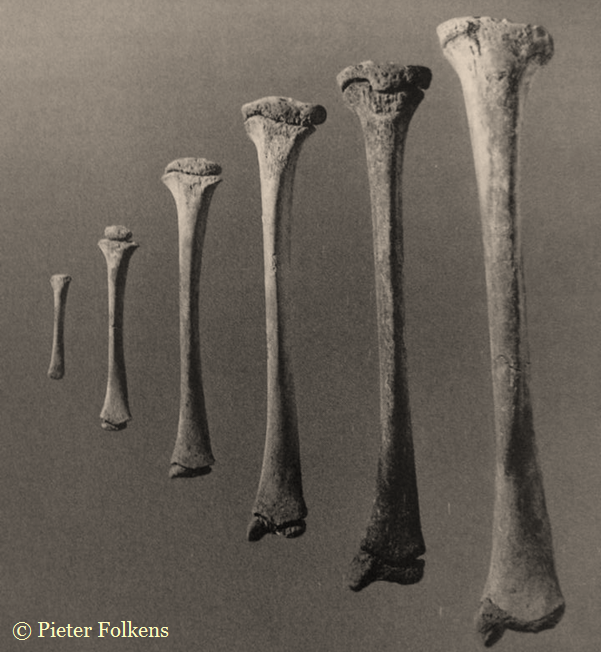 If you look at the photo above it illustrates a post-mortem fracture. You can determine this easily due to the colour difference on the edge of the fracture, where it is a much lighter colour compared to the rest of the skull and the crumbly nature of the cut. Most of this is my own knowledge that I learnt during my degree in my anthropology lectures/lab practical sessions. But if you’re looking for a published journal check the one below. It is very informative and easy to understand if you’re a beginner in the world of anthropology/archaeology! It also highlights some problems that can arise when distinguishing trauma, it’s really interesting! Smith, A.C. 2010. Distinguishing Between Antemortem, Perimortem, and Postmortem Trauma. Academia.edu. Available from here in .pdf form! Read more anthropology/archaeology quick tips here! Quick Tips: The Use of 3D Animation to Visualise a Crime Scene in Forensics. Many television programs create 3D animations and computer generated images using highly technical computer programmes to help re-enact the scenes or time frame of a crime. This is mostly used so that the viewer at home can really grasp what crime has been committed and help establish a sense that they are a witness. But in reality these animations and images are becoming an increasingly popular technique used within the courtroom. Information and evidence can be easily constructed from the traditional methods of forensic photography, blood spatter analysis and eye witness testimonies. But in this modern technological time the information gathered is now being used to create computerised animation that depicts the series of events within a crime. But is this method of providing visual appropriate and correct? Could the animation be showing a display of actions/movements that humans can’t possibly and physically make? There is a big issue with admissibility, which can cause bias. This occurs when the jurors or judge aren’t aware of an error/uncertainty within the procedure of recreating a real life scene into animation. This can cause them to believe that the evidence is a hundred per cent correct, when in fact there are many errors which were created in the process or animation (Ma & Zheng, 2010). Another big problem arises when studies found that people are five times more likely to remember something they see and hear rather than hearing alone. People are also twice as likely to be persuaded if the arguments are backed with visual evidence (Lederer & Solomon, 1997). So this poses a huge problem as false memories and false testimonies could be influenced, which in the end could cause an innocent person to go to jail for a crime they did not commit. So with the possibility of creating false memories is the use of 3D animation beneficial for the use of visualising crime scenes within court? It is argued that it is as the use of computerised images creates a higher level of accuracy and speeds up the forensic investigational process but only in major crime types, not every day homicides and robberies. However even though it has limited application in the courtrooms, it can pose to be very useful in formal briefs with the forensic personnel, and within the backstage elements of the investigation itself (Ma & Zheng, 2010). Lederer FI, Solomon SH. 1997. Courtroom technology – an introduction to the onrushing future. Fifth National Court Technology Conference: National Centre for State Courts. Available here. Ma M, Zheng H. 2010. Virtual Reality and 3D Animation in Forensic Visualization. Journal of Forensic Sciences. 55, 5. 1227-1231.